Paw Province: Christmas Was On Sausage Tails! Christmas Was On Sausage Tails! 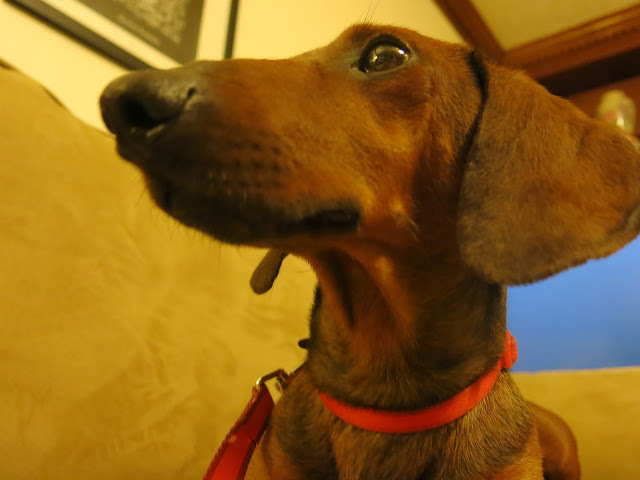 Yesterday, Christmas was featured on the Dachshund blog "Sausage Tails"! If you haven't read Jeffrey and Alan's blog (they're the Dachshunds behind the blog), than you might not know that every Friday, they have something called "Friday's Furry Friend". Readers send in submissions of their pets that could be featured the next Friday! Jeffrey and Alan always need more submissions, so feel free to send in your pet if you want! There is contact information on their blog. Anyway, I sent a bio and photos of Chris to Jeffrey and Alan recently, and yesterday he was featured! Click here to read the post, and enjoy your day!